We are not the only ones getting excited about the launch of a new sports car. Our USA sister company Scion is getting excited about the launch of their very compact sports car! 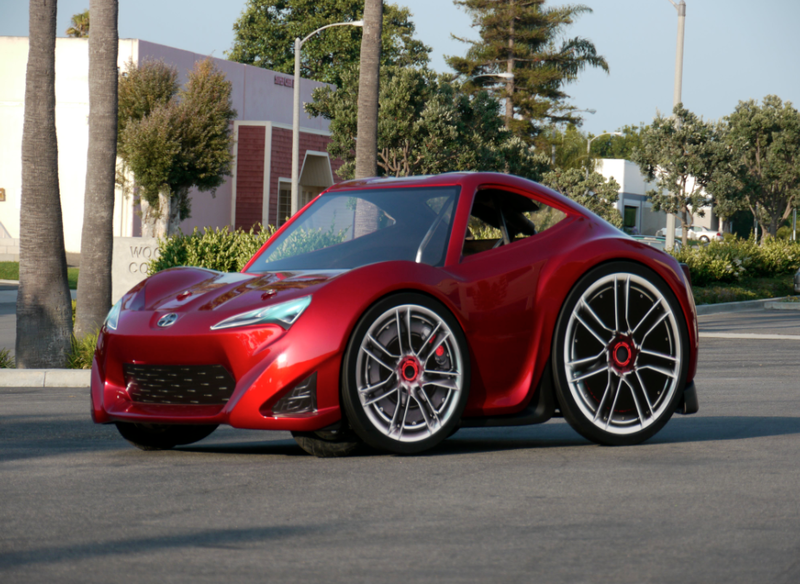 The Scion FR-S Soapbox Racer. As Scion had just launched the FR-S Concept Five Axis wanted to keep the hype alive and what better way than to build a fun version of the FR-S Concept for the Red Bull Soapbox Race. Five Axis is a design and prototype studio who create and build everything from high end concept cars like the Scion FR-S Concept to modified vehicles like the Five Axis Scion DJxB. 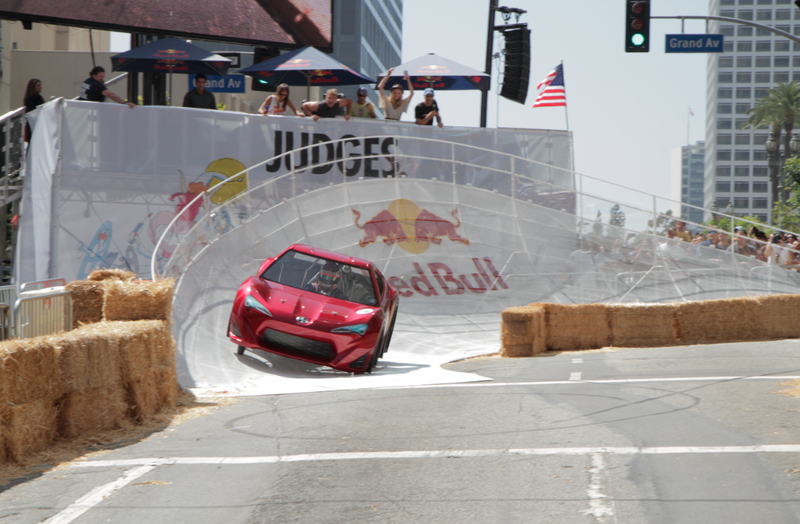 Five Axis were elected by Red Bull to participate in this bi-annual Soapbox Race that basically turns the streets of downtown Los Angeles into a downhill race course complete with a 90 degree banked turn and two jumps. 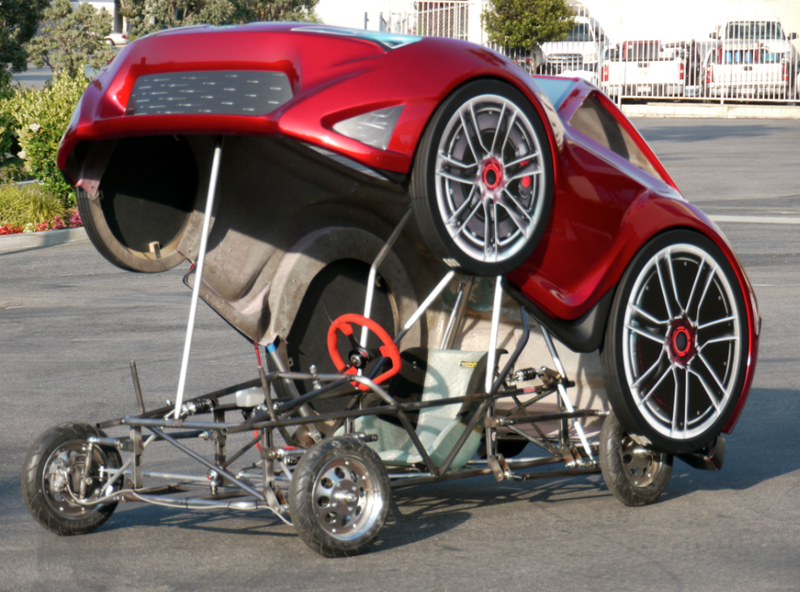 Five Axis used the same methods they normally use to make concept cars to build the soapbox race-car, they built the body using the same styling cues as the FR-S Concept but in much more humorous proportions. Daijiro Yoshihara, a world renown Formula Drift racer, was the one lucky enough to pilot this wacky concept down the race course. To see more pictures of the Scion FR-S Soapbox Racer click here.